After being charged with multiple counts of drug-related offenses and two counts of child neglect, additional human trafficking, and drug-related charges have been filed against a Stevens Point woman. Kari Sittig, 33, was arrested in August after an investigation spurred by neighbors complaining about “significant amounts of short-term traffic” at her home on the 2200 block of Fourth Ave.
After securing a search warrant police found a total of 23.75 grams of methamphetamine inside the home, much of it split into smaller baggies and within reach of Sittig’s two young children, who were home alone and told investigators they hadn’t eaten all day, according to the complaint. The children have since been placed with a family member. Sitting was released on a $1,000 cash bond Sept. 4. Since then, Assistant Attorney General Cass Cousins has filed six additional charges of manufacturing/delivering amphetamine, 3-10 grams, and one count of human trafficking. During questioning, Sittig admitted to detectives she sold “considerably more than 50 grams” of meth from her home since May, mostly to “lower-level drug dealers”, according to the complaint. Sittig told police she was a heavy drug user herself, adding that her own drug use had once prevented her from sleeping for a solid week. In October, Sitting was arrested by police in Monroe Co. and charged with manufacturing/delivering more than 50 grams of meth—the C felony is the highest drug-related felony available under state statute—as part of a conspiracy, and one count of manufacturing/delivering amphetamine, less than three grams. She also faces one count of bail-jumping. 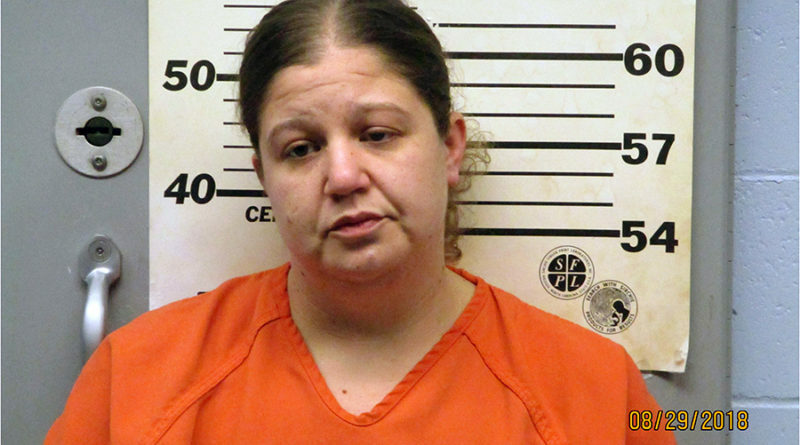 Although she was already out on cash bond in Portage Co., Monroe Co. Circuit Court Judge Todd L. Ziegler released Sittig on a $5,000 signature bond Nov. 1. She is scheduled to return to court in Monroe Co. on Dec. 10. A request for comment from Ziegler was not immediately returned. A detective with the Central Wisconsin Drug Task Force, who requested anonymity due to the undercover nature of their work, said it’s not uncommon for defendants in narcotics cases to be released on a signature bond, but called it “very frustrating for law enforcement”. Sittig returns to court in Portage Co. on Nov. 26. Editor’s note: Ms. Sittig contacted the Metro Wire office by email on Nov. 22 threatening legal action for publishing this story, claiming the information contained within it was false. “It is very intriguing that you are so interested in deformation [sic], slander, and emotional stress on someone just because a detective constantly calls you to print articles. You will be hearing from my lawyer. So if someone is providing you with information and informing you to run these articles I hope you have the evidence to back all of your information,” Sittig wrote in her email. Metro Wire staff has verified the information against the criminal complaint, a public document available at the Portage Co. Courthouse.